Established on the very first date of January in the year 2009, Sana Safinaz marked the beginning of an empire that went on to become one of the top fashion houses in the country in less than a decade. And this is something to be appreciated and appraised. All their collections are admirable, always. They recently unveiled incredible and latest Sana Safinaz summer collection 2018 catalog which is the perfect assortment of cool designs. Today, at our blog, we have written this article to gather images of all those prints and to explain the versatility of designs. This brand was actually founded by two very talented women Sana Hashwani and Safinaz Muneer who had a knack for fashion. When it comes to what they have to offer in terms of products, their line of clothing is not limited to only these wear; it is also extended to add their highly popular bridal collections and diffusion. The diffusion line is all about creating a harmonious mix of the east and the west and presenting them beautifully in the form of clothes. This brand is highly diversified and is a prestigious label in the fashion industry of Pakistan. Sana Safinaz always comes up with something new and very unique, the only thing old about them is the brilliance, style, elegance and the standard of which their customers are accustomed to. They always maintain that brilliance and standard which their customers love to have. Each design is unique and sophisticatedly colorful as always and there are always two different colors for each design just to open up the variety of customers. I have seen that big clothing names always go for showcasing their latest designs through famous models or famous Bollywood celebrities, while Sana Safinaz never did this. They believe that if they are launching classy and elegant designs, then all they need to broadcast is one model to stand out. All that matters for them is the quality and design of the dresses they launch else everything will go accordingly. Scroll down to see the latest summer collection 2018 by Sana Safinaz. Sana Safinaz collections are an exotic mix of both traditional and contemporary fashion put forward in ready to wear clothing. These dresses are aesthetically designed in both eastern and western designs. Their line of clothing also included unstitched suits and dress. Moreover, they also offer a trendy range of accessories and footwear. One of their most anticipated collections is undoubtedly the summer wear lawn. They release new lines of lawn every summer and it’s definitely something to look forward to. Their lawn has become one of the most successful and favorite and to prove this point, they have also received awards for a collection of the year consistently. 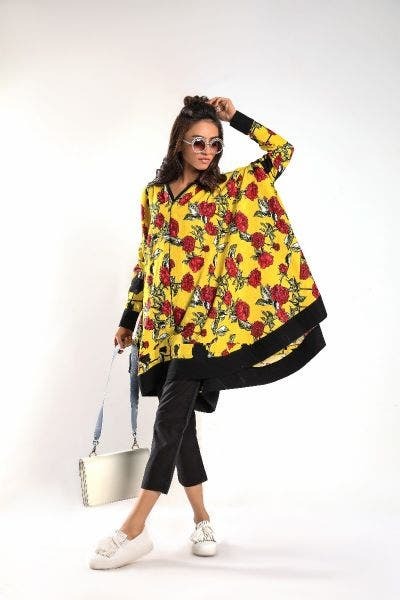 Apart from the Lawn line, they also offer occasional and seasonal wear that includes independent capsule Silk and Eid collections which are just as exciting if not more! See Here’s Sapphire Latest Summer Collection. The designers of the brand are so amazing, they design dresses religiously at every launch. The designers always keep in mind the Pakistani culture and tradition. The dresses are the absolute blend of style, modernization, culture, and tradition. And trust me, it’s the best blend which makes suits even alluring. Sana Safinaz is all about innovation and creativity. Their DIY collection contains single shirt piece collection is just wow. Trendy and elegant designs are captivating everyone attention. These are inspired and utterly beautiful. Work is something that definitely stands out.Their trailblazing ways have set the market alight and have created a lot of positive commotion as well. If you are fishing for quality, you can surely count on Sana Safinaz to deliver. Their creations are of high-quality fabric, threads, and embellishments.